Looking for field trip transportation in San Diego? 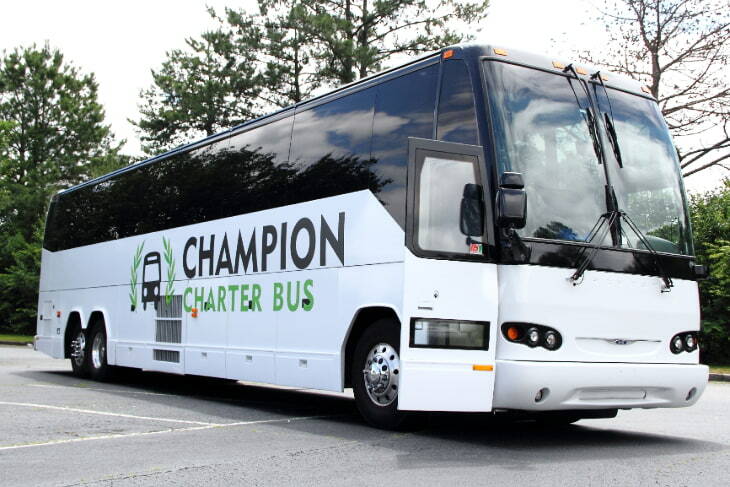 Champion Charter Bus provides buses of all sizes for school groups across the west coast. We’ll provide a private and comfortable alternative to traditional school buses with top-of-the-line charter bus transportation. Call our 24-hour team today to learn more and to receive a free, no-obligation quote for your trip! Champion Charter Bus makes it easy to book private, personalized transportation for your San Diego field trip. Instead of booking an old, outdated traditional school bus, rent a modern, clean, and comfortable coach with us for an unforgettable trip. We’ll help you find the perfect charter bus transportation at the best price, no matter your needs or requests! Give our 24-hour reservation specialists a call at 619-629-0453 to learn more about pricing and travel options for your upcoming trip! We charter a variety of bus types, capable of accommodating groups of any size. Book a compact minibus for a quick day trip, college tour, or faculty outing; or, rent a full-sized charter bus to accommodate multiple classes. If your group requires multiple buses, we’ll put together a fleet just for you so that everyone will be accommodated. On your bus, you can choose from amenities such as WiFi and televisions with DVD players to keep students entertained, extra storage space for overnight luggage or sporting equipment, and other extras such as power outlets, reclining seats, and an on-board restroom. Many amenities can be added at no additional cost, to make it easier to book a comfortable coach for your trip. Book a reliable shuttle for your teacher outing, a compact minibus for a college tour, a full-sized coach for a multi-class trip, or simply allow our experienced reservation specialists to put together a custom fleet just for you. No matter your needs, we’ll make sure you’re paired with the perfect transportation accommodation for you and your students on your field trip. Ready to get your trip going? Choose from our recommended San Diego field trip stops, or craft your own itinerary for your group. When you’re ready, we’ll be available to take your call and book your transportation at 619-629-0453. Since 1948, the Maritime Museum of San Diego has helped to preserve one of the nation’s largest collections of historic sea vessels. Here, students of all grade levels can learn about the history and science of sea travel. The museum can even take their ships out to sea for single-day or multi-day educational adventures. 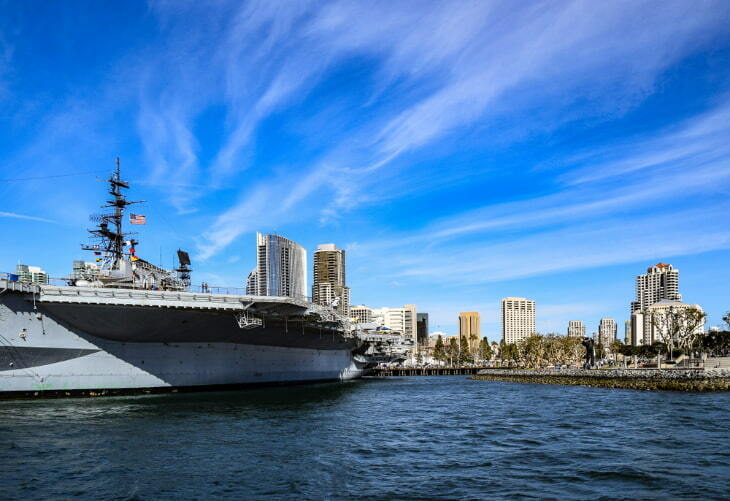 This maritime museum houses the longest-serving aircraft carrier in the United States, the USS Midway, as well as an extensive collection of both watercraft and aircraft. Former Midway sailors narrate a self-guided tour through the nation’s most popular naval warship museum. Let your students explore the history of United States Marine Corps Aviation at the Flying Leatherneck Aviation Museum. Over 31 historical aircraft, as well as military vehicles, equipment, and artifacts from the early days of aviation, provide an unforgettable educational opportunity. The San Diego Air & Space Museum houses many original as well as reproductions of historic aircraft and spacecraft, including the original Apollo 9 command module. Exhibits take visitors through the history of aviation and highlight San Diego’s contributions to flight. 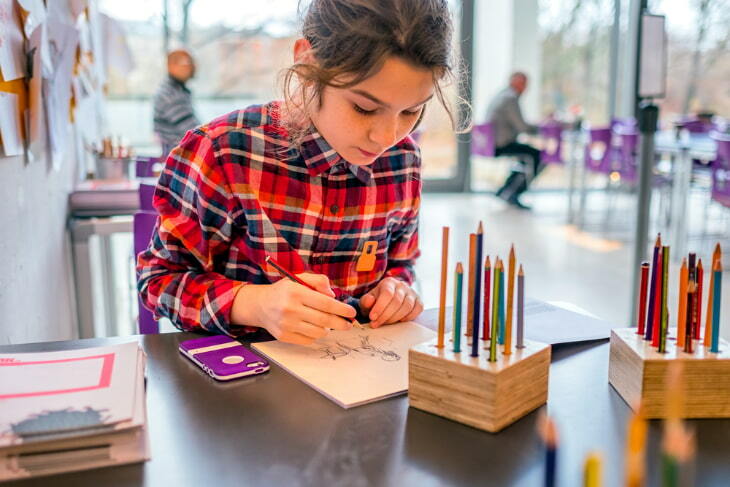 The New Children’s Museum encourages kids to “Think, Play, Create” through educational courses, sculptures, and contemporary art exhibits. Programs are available for children and adults of all ages, with a “Tot Studio” for small children and occasional 21+ events for adults. Established in 1973, the Fleet Science Center museum and planetarium set a new standard for major modern science museums when they combined their interactive science exhibits with a planetarium and an IMAX Dome theater. Numerous exhibits, as well as a planetarium and theater shows, are available for visitors to experience. Free tours for students of all ages provide an opportunity to explore this museum’s collection of over 26,000 folk art objects. The collection aims to celebrate human creativity while conserving folk art, craft, and design. The museum’s name comes from the combination of Japanese words for “all people” (min) and “art” (gei). This San Diego landmark offers field trips for elementary and middle school students, during which they can learn of the history of San Diego before California became a state. The museum is named for Father Junípero Serra, who established California’s first mission and presidio. The Museum of Photographic Arts maintains and preserves photography, film, and video dating back to each art form’s earliest days. Within the museum’s gallery space is a classroom, a theater, a print viewing room, and a library, as well as the museum’s permanent collection. Students can explore the history of automotive culture with this museum’s collection of cars and motorcycles. Rotating exhibits showcase cars of all types from various eras of automotive history. The Cabrillo National Monument commemorates the first instance of a European expedition setting foot on the west coast of the United States. 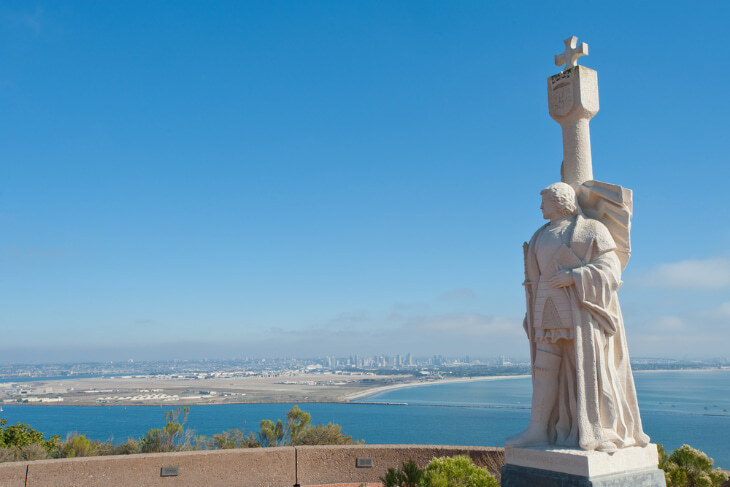 Named for Juan Rodríguez Cabrillo, the monument is now a historical landmark. Throughout the year, the park also hosts various cultural events that showcase Kumeyaay, Portuguese, and Mexican singing and dancing. Housing over 3,700 animals from 650 species, the San Diego Zoo’s 18 individual exhibits offer numerous opportunities to visitors of all ages to learn about animals of all types. Good for a field trip or a relaxing teacher’s retreat, this beautiful and tranquil garden offers tours and rotating art exhibits for visitors’ enjoyment. Programs such as monthly craft clubs and weekly meditation are also available for groups to enjoy. Presidio Park marks the location at which the first European settlements in the present-day Western United States were founded in 1769. This beautiful park also serves as a great setting for a faculty meeting, graduation party, or other gatherings outside of your school. 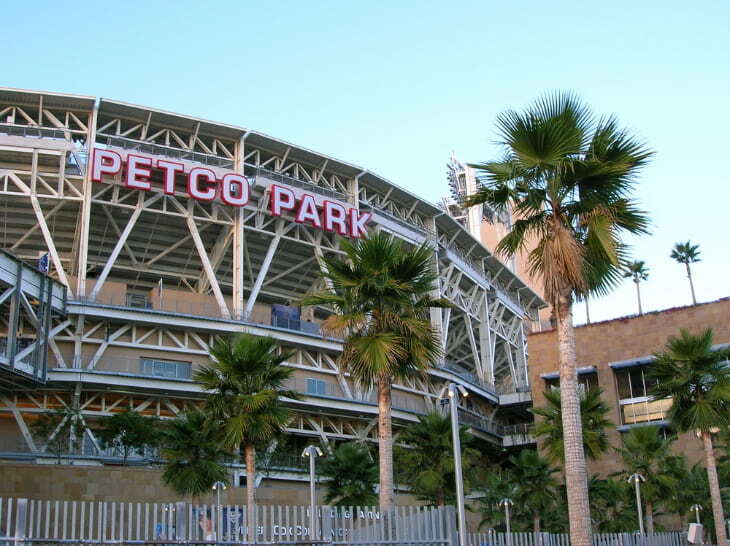 Though it’s known for hosting the San Diego Padres, Petco Park also regularly hosts tours for school groups. Tour attendees can visit the press box, learn about the historic Western Metal Supply Co. Building, see the Padres dugout, and enjoy gorgeous views of the city. The San Diego International Airport offers a unique 2-hour “Terminals to Tarmac” tour, in which visitors can learn about the inner workings of the airport, get an up-close look at a runway, and explore public art throughout the building. Call Champion Charter Bus today to book your perfect San Diego field trip travel accommodations! We’re always happy to answer any questions you may have and provide you with a free quote for your trip. Contact our reservation specialists at any time at 619-629-0453 to learn more about our school trip services!